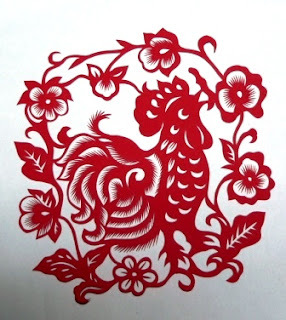 The Indextrious Reader: Happy Year of the Rooster! "This is your year. You understand the flow of the energy this year. You’ll know when to wait, when to watch, when to act, and when to rest. Your timing will be impeccable. If you arrive late to the party, it was meant to be. If you forgot something, you will find you didn’t actually need it." As for me, I'll celebrate as usual -- with a booklist of rooster themed books! 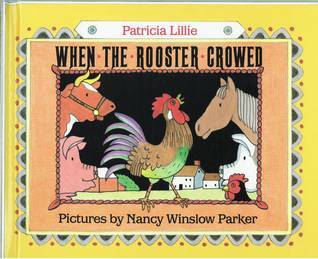 This classic counting story follows rooster as he walks through a day and gathers animals around him, then returns home to his cozy house. 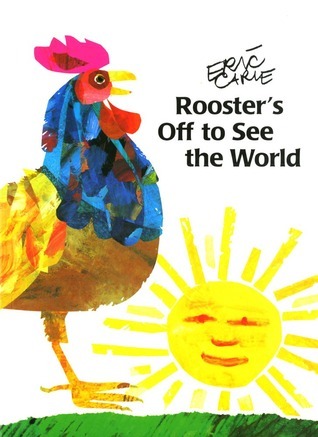 Simple, with Carle's colourful illustrations, this is always a winner. 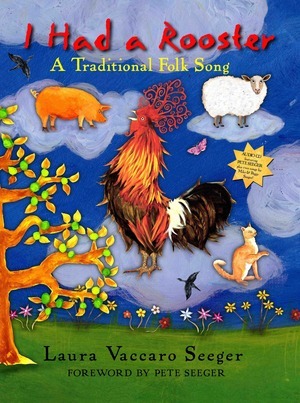 Based on a traditional folksong, this book is a cumulative story (or song!) with animals being added one by one to the eponymous rooster. You may also find that it includes a cd with this and 2 more songs by Pete Seeger. 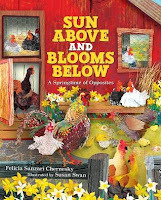 Concepts of time, animal sounds, and the value of hard work all combine in this story of a rooster trying to awaken a farmer so he can get to work. An ethnically diverse classroom goes to visit a farm and watch eggs hatching, in this cheery and rhyming story about opposites and springtime. Illustrated in a fresh and lovely style. 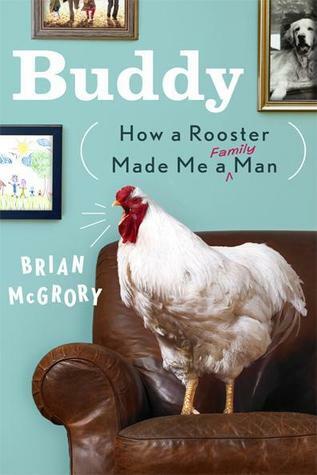 And now for an adult pick, a memoir in which journalist McGrory marries his vet, and inherits her family, including a loud, aggressive rooster... who ends up teaching him how to be a loyal husband and man. Happy Chinese New Year! I didn't realize it was today until just now. Buddy sounds like a terrific memoir. There's always another chance to start over again, right? :) I enjoy these thematic reading lists, glad you found something interesting. That's great :) I'm sure you'd rather read about a rooster than have one in the backyard!